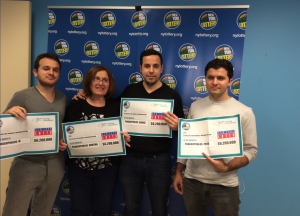 Flushing residents received big payouts from the New York Lottery yesterday. 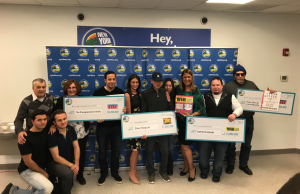 Ceremonial prize checks were awarded at the lottery’s customer service center in Plainview, Long Island to the Panagopoulos family, who won $6,200,000, and chef Zhao Yang Liu, who won $7,000,000. 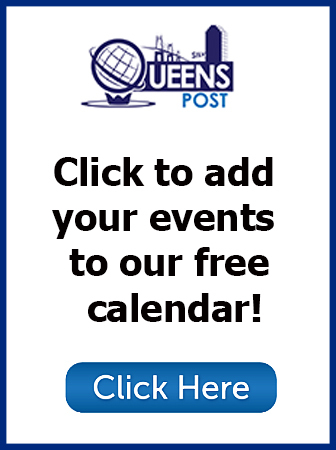 The Panagopoulos family–most of whom live in Flushing–purchased their ticket at the Family Bakery Outlet at 77-26 21st in East Elmhurst on Feb. 28. The ticket matched all six numbers in the drawing later that day, but the family did not bother to check the ticket until some time after. The family’s father— Vasilios, a retired restaurant owner— bought the ticket, but the prize will be split between Vasilios’ wife and three adult children. Each will receive $635,026 after taxes. George said that he was not surprised his father decided to give his family members the ticket winnings. George’s mother, Dimitra, 55, agreed. The family plans to invest their winnings, George said, although they are also discussing opening a new restaurant together. Liu, a Flushing resident, purchased his Cash Blowout scratch ticket at Mitul Quickstop at 60-08 Main Street. Liu, who had been playing the lottery for some time, realized quickly that he had won and rushed home to tell his wife. Liu decided to take the one-time lump sum of the prize winnings, and will walk away with $4,431,280 after taxes. He said that he plans to pay off his bills with the winnings.